Build your GoPro into an underwater dream machine. This complete kit contains everything you need for smooth, colorful video! All products are designed, built, and tested in the USA. Premium anodizing delivers rugged, corrosion resistant performance. This Vega includes a USA Style Charger. Build your GoPro into an underwater dream machine. This complete kit contains everything you need for smooth, colorful video! All products are designed, built, and tested in the USA. Premium anodizing delivers rugged, corrosion resistant performance. We back our products with over 50 years of experience and service within the dive industry. This kit contains two (2) Vega Video + Photo lights to provide the ideal balance of power and coverage in a compact system. Each Vega packs 2000 lumens of power into a compact and travel-friendly package. Switch quickly between full, half and quarter powers for video, focusing, macro photography, or to use as a backup dive light. Power level is controlled by a large, easy to turn dial on the rear of the light. A premium, high-capacity built-in rechargeable battery provides up to 3 hours run time on a single charge. 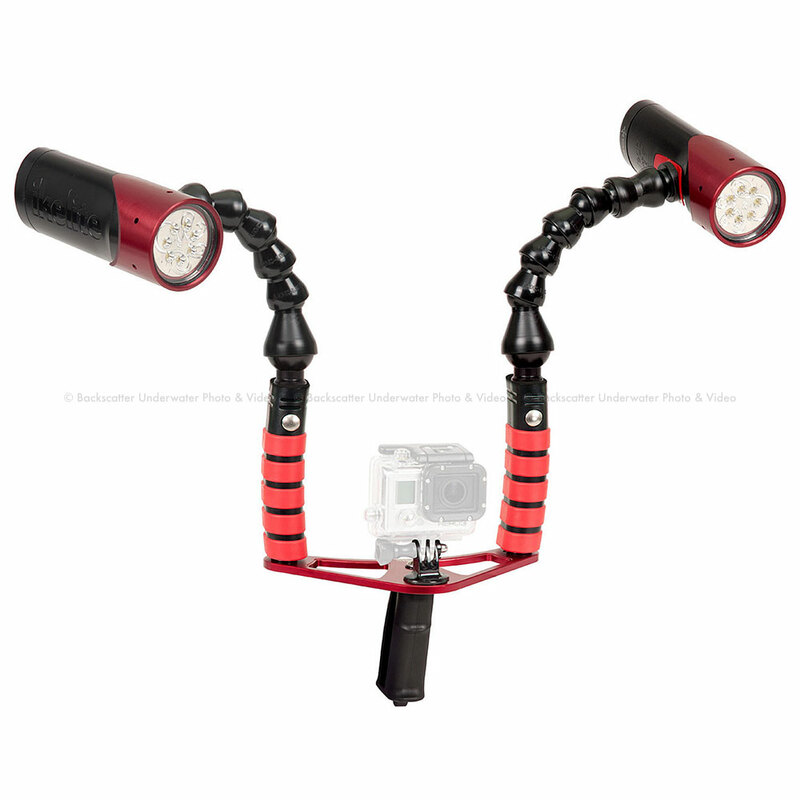 Each handle can easily be added or removed with a screwdriver for travel or to change your set-up in between dives. Left and right-hand quick release handles provide a soft, over-molded grip and attachment points for lighting accessories. A bottom-mounted pistol grip is perfect for in-motion, action video.